In an effort to keep up with the best technology on the market, Volkswagen has largely ditched in-brand infotainment offerings to bring car shoppers what they really want: Apple CarPlay. Apple CarPlay helps drivers seamlessly connect their smartphone to their Volkswagen touchscreen display so they can have immediate access to messaging, calls, music, podcasts, and more while behind the wheel. Setting up Apple CarPlay on your Volkswagen is very simple. Just plug an Apple lightning cable into your Volkswagen’s USB port and your smartphone and follow the set-up procedure. Steps for the set-up procedure can be found in the “Apple CarPlay Connection” video below. We have also included videos for how best to use the Apple CaryPlay messaging and navigation functions so you can get the full use out of your system. 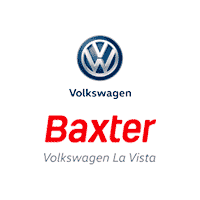 If you have any more questions about Apple CarPlay, or would like to see new 2018 Volkswagen models equipped with Apple CarPlay functionality, visit the Baxter Volkswagen La Vista dealership in La Vista, NE.